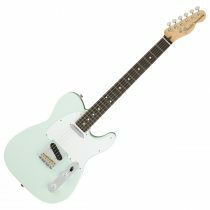 An American-made Tele at an unbeatable price — that’s exactly what you get with the Fender American Performer Telecaster. Experience balanced tone and extreme comfort, courtesy of a lightweight alder body, maple modern C-shaped neck, and easy-playing 9.5″-radius maple fingerboard. Heat things up with an awe-inspiring combination of vintage-tinged sonics and modern output, thanks to two Yosemite single-coil pickups. On top of that, Fender’s Greasebucket tone control keeps things from getting muddy. 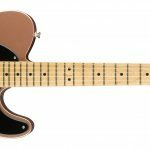 The American Performer Tele includes ClassicGear tuners for rock-solid intonation.